The Pokes survived a tough road test last week and left Reno with their third straight win to run their record to 5-2 (3-0). They did so behind the powerful running of Brian Hill and some big plays by Josh Allen. This week the Cowboys face their toughest test of the season and host #13 Boise State (7-0, 3-0). The Broncos are coming off a close win over BYU. The Cowboys were favored by 4 last week and covered that spread. They are now 4-2 ATS and have covered in 3 straight games. This week the Cowboys are 13.5 point underdogs at home. What are your thoughts on last week? It might not have been pretty — aside from the way Brian Hill ran the ball — but any win on the road is a good one. Who was last weeks MVP? Brian Hill for sure with 289 yards and three touchdowns — and not feeling well before and during the game. The offensive line also was good, but Hill was a man among boys that night. Wyoming would love to see Hill have another game like he did against Nevada, but I think quarterback Josh Allen will need to make a lot of plays with his arm and legs. A close second is senior nose tackle Chase Appleby. It was no coincidence that after he left the game in the first half with an injury the defense struggled. He showed how important he is to that entire defense. 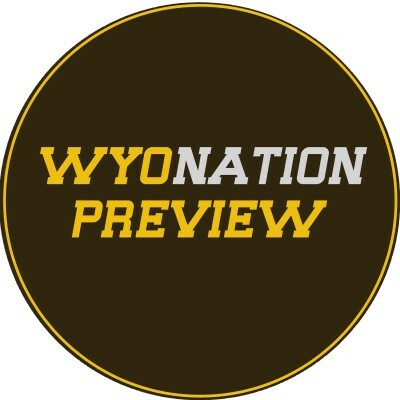 What needs to happen for Wyoming to get the win? Continue to be balanced on offense and make few more plays in the pass game. The defense must be disruptive and continue to have a bend-but-don’t break mentality. It can’t let Boise State be good both running and passing it. If it can’t slow down one of those areas, the Cowboys are in trouble. Special teams also must be better. Wyoming’s offense was impressive. Its defense did juuuuuuuuust enough. The Cowboys had just the type of offensive night they love: run, run and run some more and pass effectively whenever necessary. The defense, though, struggled against the Nevada pass game, a scary fact headed into a matchup with Boise State. Brian Hill. There’s no other choice. Hill set career bests with 289 rushing yards and three rushing touchdowns. The Cowboys needed the offense to carry the game and the offense was carried by Hill. He showed why he’s one of the best backs in the country, even when sick. Priester will step in to start at cornerback ahead of Antonio Hull, who struggled against the Wolf Pack. Priester hasn’t started a game yet this season, and he can’t afford to be rusty against the Broncos’ passing attack. Wyoming needs to force four turnovers. The Cowboys likely won’t stop the Boise State offense, but if they can keep them in check with takeaways, they’ve got a chance. Granted, the Broncos turned the ball over five times last week and still won, so it’s not a airtight solution, but there’s no easy formula to beating a top-15 team. Great game last week from the Cowboys. I figured they would probably win that game, but I was really worried about a let down after a bye week and being on a high from beating their two Colorado rivals. The Cowboys did enough to win and got a monster game from a sick Brian Hill. The Cowboys basically beat Nevada into submission by sticking with the rushing attack and only throwing the ball when absolutely necessary. Good strategy against a team who is really bad at defending the run. Good momentum heading into a tough game against Boise State. Brian Hill. Absolute game changer last week and he was off to the races basically as soon as the game started. He was also named Mountain West player of the week so I guess it’s only appropriate to give it to him here too. This week it’s going to be Andrew Wingard. Guy has a tough task ahead of him in containing Thomas Sperbeck (if he’s healthy enough to play) and supporting the rushing defense for a talented running back, Joe McNichols. Wingard will need to be on top of his game, as well as the rest of the defense, to stop Boise’s multiple weapons. Defense needs to force turnovers. Offense can’t afford many, if any, three and outs. Those two things are going to be very sorely needed. Boise is currently ranked #13 in the country and the leading candidate for a New Years Six bowl game. However, the Broncos have looked vulnerable against teams like Colorado State and BYU, middle of the road teams. Wyoming can’t afford a single mistake if they’re going to beat this Boise State team. A win will be that “signature win” we’ve all been looking for from Craig Bohl. A loss, while not devastating, will set the Cowboys back a little bit. As Coach Gaines told his team in Friday Night Lights… Be Perfect. Every road win is a good road win especially in conference play and the Pokes got the job done in Reno. They did what they had to do with the running game to take advantage of the Wolf Pack defense and it resulted in a 400-yard plus team rushing effort and a career night from Brian Hill. The Cowboys are just one win away from bowl eligibility now! The MVP of last week has to be the entire offensive line and Brian Hill. The 401 rushing yards output was the second highest total under Craig Bohl only behind the 2015 Eastern Michigan home game. He will have to coordinate and call a balanced offensive game plan that will keep Boise State on their toes. I would look for a few wrinkles in the offense that have been kept under wraps so far this season much like the Austin Conway pass we saw last week versus Nevada. The big key will for Vigen to call a game that keeps the Pokes “on schedule” staying out of third and long situations. There are three keys to victory for the Pokes on Saturday night. A) Win the turnover battle. Boise State has a negative turnover margin for the first time since they joined the MW conference. B) Run the ball and shorten the game. By shortening the game you eliminate the time the Bronco’s passing offense can hurt your defense. C) Improve third down passing defense. Wyoming is allowing a 47% third down conversion rate in conference play so far. You can’t beat quality teams like Boise if the defense can’t get off the field. It was nerve wracking right down to the end, but a road win in the Mountain West is always a good win. The offensive line and running game was impressive and Josh Allen made big plays when called upon. It was exciting to see the Pokes survive a game that I think in the past Wyoming teams would have lost. It sets up a huge game this weekend. Brian Hill was fantastic, as was the offensive line. I usually like to go against the grain and pick someone different than who most would choose but this week I can’t. Hill’s 300 yards of offense and 3 touchdowns is unheard of and he was rolling from the very beginning. The defensive line suffered two losses last week; they started the game without Carl Granderson and then Chase Appleby left with an injury. Without their two best defensive linemen the run defense was solid but they struggled big time to get pressure on the quarterback and that lead to 340+ yards in the air for Nevada. The DL needs to pressure QB Brett Rypien, if they aren’t able to he will have a career day. There are a few keys for Wyoming, in my opinion. The Cowboys need to win the turnover battle by at least two, they need to dominate the TOP, and they absolutely have to get some early points. If the Cowboys can score early it should get the crowd into the game and that momentum and energy could propel the Pokes to a big night.